«Frozen sections are one of the most important and difficult procedures a pathologist performs during his practice. It requires experience, knowledge of clinical pathology, the capacity to make quick decisions under pressure and a keen awareness of the limitations of the method» says Prof. Juan Rosai, one of the most eminent pathologist the world, author of the leader treatise of the specialty, entitled “Rosai and Ackerman’s Surgical Pathology”. On the surgery table, patients are more than ever in need of quick and reliable answers about how the surgical operation is going. The so-called Frozen Section Procedure is an urgent procedure, known to offer poor morphological quality slides due to the slow freezing procedure. Often slides cannot be considered satisfactory for diagnosis and the pathology answer tends to be uncertain. 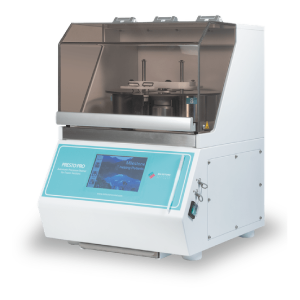 The Frozen-Area is a Pathology-Lab division, where the need of professional tools is crucial. 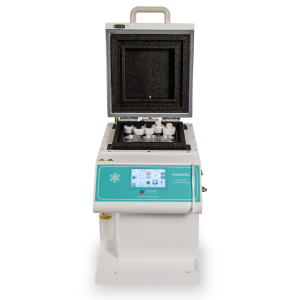 With this in mind, Milestone developed PrestoCHILL and PRESTO PRO, completing its innovative line with instruments that improve both cryoembedding and staining for high quality frozen sections, in less than 10 minutes. 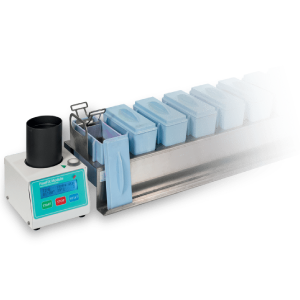 A frozen block made by PrestoCHILL in less than 60 seconds will have a planar surface with an ideal sample positioning, and no ice crystals! The frozen section stained with PRESTO PRO will be as good as permanent, for normal, fatty tissues, muscles and also lymph nodes. 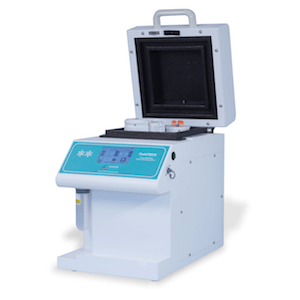 Improve patient care in your hospital environment, give histotechs the professional tools that they need and give pathologist the frozen section slide they have always dreamed of!